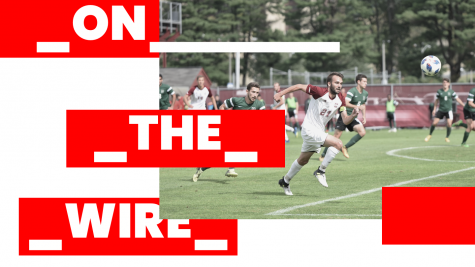 Four years ago, the Massachusetts men’s soccer team went on a magical run through both the Atlantic 10 and the NCAA tournament. The end result of this run finished with the Minutemen losing, 1-0, to then No.5 Ohio State in the College Cup. 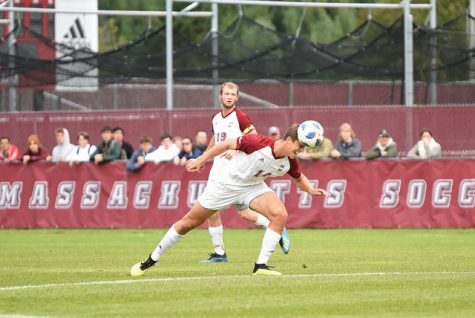 Fast forward to Sunday, when UMass soccer commemorated its senior class’ accomplishments on Senior Day. 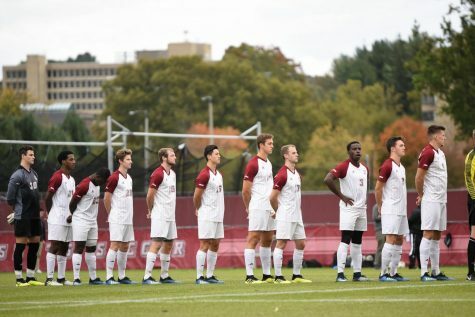 Three of these seniors, Ben Arikian, Stuart Amick and Chris Vaccaro, were freshmen when the Maroon and White made their College Cup run. Arikian, Amick and Vaccaro joined goalkeeper Chris Piekos in their Senior Day game against La Salle. Despite falling down 1-0 at the end of the first half, the Minutemen returned fire and ended up drawing with the Explorers. 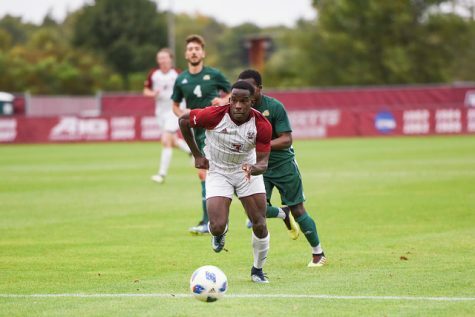 “It was nice to have them all play well in their last regular season game and it would have been nicer for them to get a win instead of a tie, but that’s the way it goes,” UMass coach Sam Koch said. Arikian also wasn’t thrilled with the game’s conclusion. Like his classmate, Amick wasn’t particularly ecstatic with the level score. 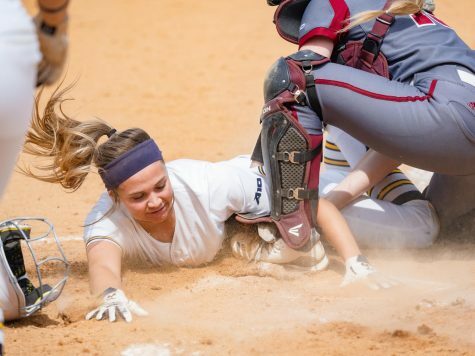 “It’s a little bit of a disappointment, just because I would have liked it to be a win, obviously,” Amick said. Throughout their four years, the three seniors competed in over 70 matches, with Arikian topping the list, with 79 games played. Amick is right behind, with 76, and Vaccaro trailing him closely, appearing in 75. Leading the seniors Sunday was Arikian, who had a chance early on in the match, when he attempted to chip the ball with right the side of his foot. He finished the match with five shots, including the one earlier on goal. Arikian wasn’t the only one who gave the Minutemen a chance. 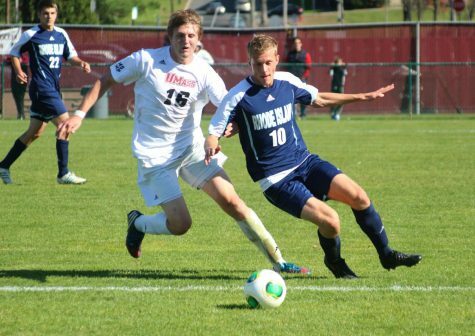 Amick’s offensive presence opened up the Explorer’s defense on several occasions, though all of his runs up the wing resulted in missed chances. Vaccaro got his fifth start of the season in Sunday’s match against La Salle and earned some heavy praise from Koch on his contributions in the midfield. “I thought Chris Vaccaro played very well in the midfield and played hard and had a good last game as far as the regular season goes here,” Koch said. Together, these three players mark more than just simple seniors on their way to the real world. They represent the final piece of what is left of the College Cup run four years ago. With the graduation of these three, the NCAA tournament run may be put to bed. 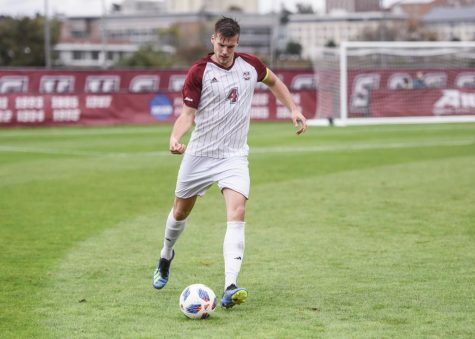 But if there is something keeping the thought of that berth from four seasons ago alive, it is goalkeeper Shane Curran-Hays, who was on the squad as a freshman, but is currently a redshirt junior. 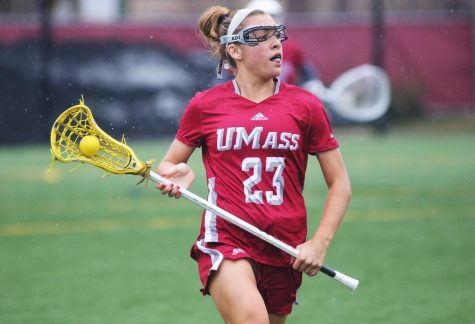 Curran-Hays, the backup keeper at the time to Zack Simmons, was bested in non-conference play this season by Piekos, the starting goalkeeper for the Minutemen who walked on to the team in 2008. Piekos took his chance with UMass and ran away with it, propelling himself to be a top-ranked NCAA goalkeeper. Through Oct. 24, Piekos was ranked 26th in goals-against average (.739), eighth in save percentage (0.87) and ninth in saves per game (5.58). 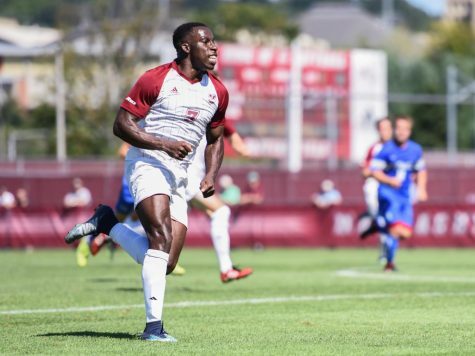 The senior contributed to the scoring in UMass’ 1-1 draw with the Explorers, earning an assist off a long kick which resulted in forward Bryant Craft’s goal. “Piekos got an assist, that’s pretty exciting,” Koch said. 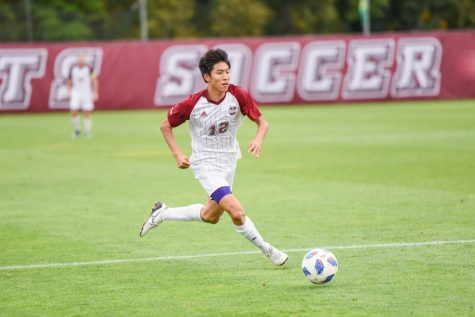 Despite all the drama and theatrics of the game against La Salle, the seniors reflected on their time in the maroon and white jersey as a special experience. 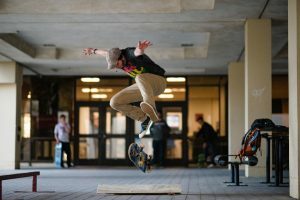 Known as a team leader over the past four years, Arikian complimented his teammates for what they bring to the team and the game itself.